An earthquake was felt throughout much of the Detroit area this afternoon. 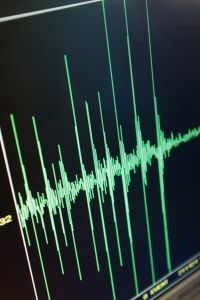 According to the U.S. Geological Survey, the earthquake measured a 5.5 on the Richter scale and was centered around an area that was 24 miles north of Cumberland, Ontario. No injuries or significant damage have been reported as a result of this earthquake. All of this makes me wonder: where were you when the earthquake of 2010 hit Detroit? Thanks for the correction. The map on the USGS site was hard to read.